Well, the wait is well and truly over… in some respects anyway. With teaser posters appearing in major cities globally over the past few weeks, as well as that 15-second trailer during Saturday Night Live, EDM duo Daft Punk have officially given more information on their new project. 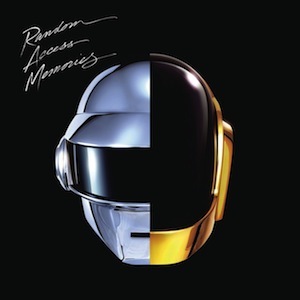 Their new album will be titled ‘Random Access Memories’, and will be available to the world on May 21st. Eager US fans can pre-order the album here now; I’m sure a UK link will follow on shortly. Thanks to eager online spies sussing out some Sony trademarks over the past week, there will be 13 tracks on the LP, which is expected to come out on ‘Daft Life Limited’. Fingers crossed we’ll be hearing that first single VERY soon.